Never mind, my boys are obsessed with this online internet game and all that is in their lips is "DOTA"!! 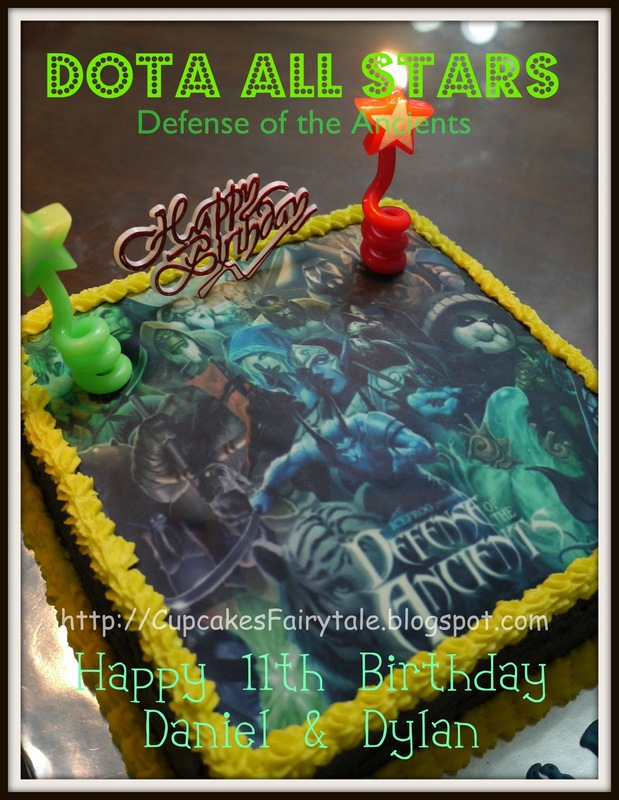 Ok, Ok, so DOTA I will be making for this year's birthday cake theme. As they decided to just have a very small celebration at home eating their favourite Pizza Hut - pizza......and I have made them a 1KG Oreo Cookies & Cream Chiffon Cake with Chocolate Buttercream.....and of course, an edible image icing of DOTA - Defense of the Ancients!! 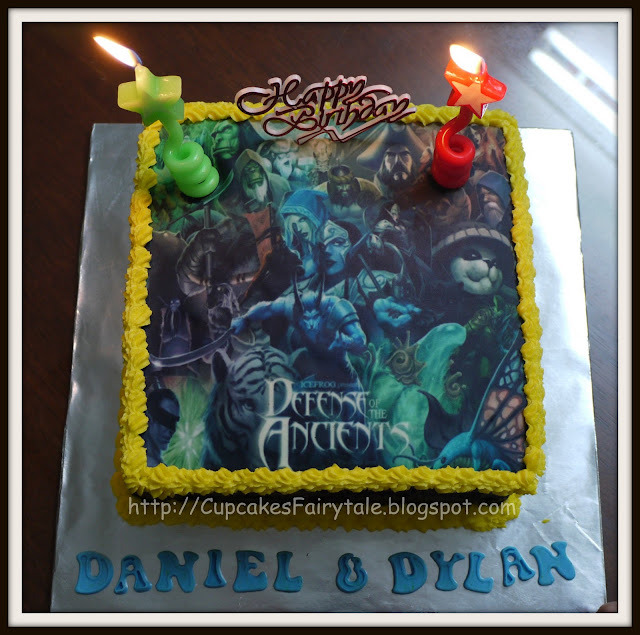 Happy 11th Birthday Daniel & Dylan, Mummy loves you "THIS" much!! !